I’ve had the most intense week ever! And it all finished with a bang yesterday, as I coordinated a fantastic event at Coughton Court to tie in with Warwickshire Open Studios. Three artists came to Coughton to sketch and paint in the grounds and I looked after them for the day! I had a fantastic time, and I couldn’t have asked for better weather. Thousands of people turned up to enjoy the National Trust house and stroll round the gardens so it was a great opportunity for artists to use the property to promote their own work and the purpose of Warwickshire Open Studios. Sunny day at Coughton Court! Warwickshire Open Studios lets local artists and designers open up their own studios to the public, and to also work together with other venues to host their work. Now an annual event, it has grown to become the country’s largest exhibition of art and craft. I heard about Open Studios last year, so I’m very lucky to actually be involved with it this year. Not only has it allowed me to work with artists and promote their work, but it has also allowed me to become inspired to do my own art again. An exhibition exploring the relevance of black and white photography in the 21st century opens at the National Trust’s Fox Talbot Museum on the 12th of April. Arrangements in Black and Grey focuses on the work of six UK photographers: Nettie Edwards, Trevor Ashby, Katie Cooke, Anthony Jones, Deborah Parkin and Mark Voce. The works range from monochrome photographs shot on film to iPhone images. 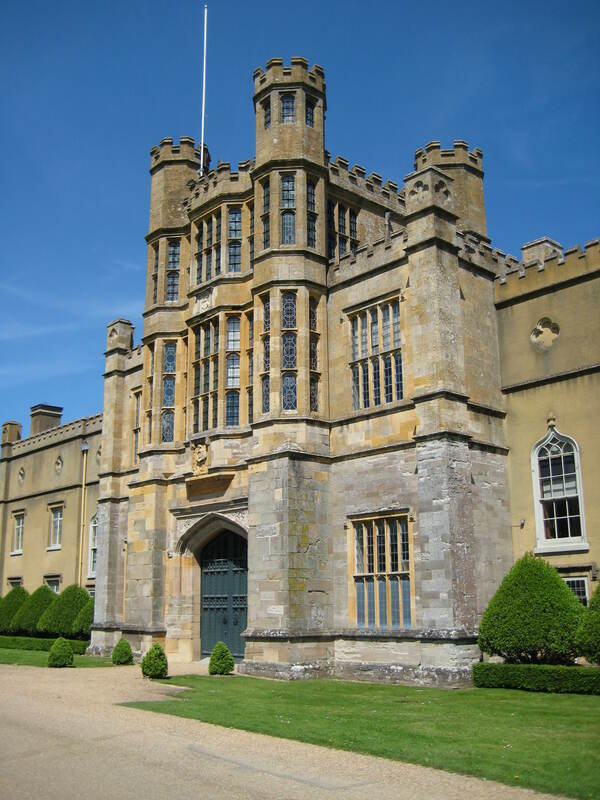 The museum itself celebrates the achievements of former Lacock resident, William Henry Fox Talbot, famous for his contributions to the invention of photography. At the Lacock Abbey which is a part of the museum and village, the 800 year history is retold through the memories of its last owner, Matilda Talbot whose grandfather was William Henry Fox Talbot. I’ve been very lucky this week in that I have been notified of two great topics to blog about via my friend Philippa Toop who I met at a York University Alumni gathering last year. This first post involves a great little exhibition at Nunnington Hall, a National Trust property. The exhibition itself is Quentin Blake and Friends: the Great Generation of Children’s Book Illustration which is running from the 2nd of March to the 14th of April. As well as showcasing the popular work of Blake, the exhibition also displays works from a variety of talent, including some fantastic illustrations by Gillian Tyler. 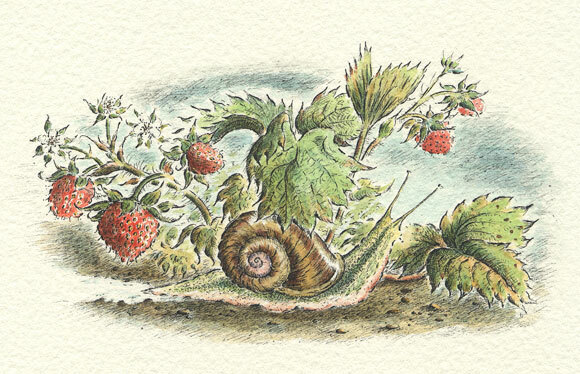 Gillian’s style captures the traditional essence of children’s illustration, and I am particularly drawn to her work, having been interested in magical and whimsical illustrations for some time now (see previous blog posts). Gillian Tyler has always felt a deep connection to art, having made pictures from an early age. Born in a small mining community, Thurnscoe in the Dearne valley of South Yorkshire, she was renowned for her sunny disposition, earning herself the nickname ‘Smiler Tyler’ on her street. 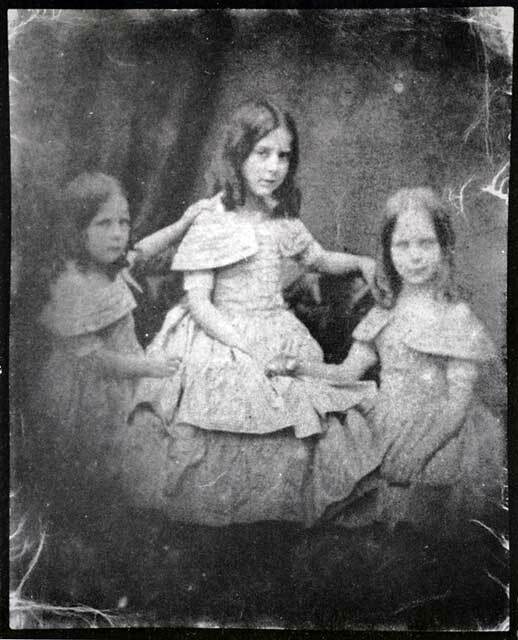 From a very early age she realised that making pictures made people happy and enjoyed being a part of that process. So, I had the strangest experience yesterday. I was invited to a meeting at Coughton Court. I’m very fortunate in the fact that I live very close to this amazing property. 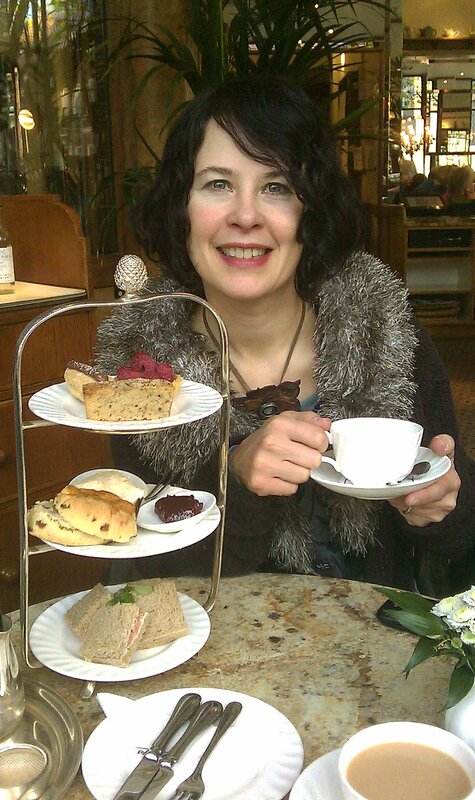 The great thing about living in Warwickshire is the variety of different National Trust properties that I can visit. I have had my eye on working at Coughton Court for about a year though. I was quite determined to become involved as I’ve mentioned in previous posts. Where to begin with all my news…Well, I’ve moved house, I suppose that is a good start! I am now a lot closer to my main place of work in the Stratford archives and I absolutely love the people I live with. The house is amazing, so beautiful and welcoming. They are mad about the Arts too, which means lots of singing and acting! I feel incredibly happy and everything is moving forward. Last craft week at Kinver *sad face* so to mark the end of all the crafty goodness, I have put a final post about our creative activities! This week we did junk modelling, or as another member of staff called it ‘recycling sculptures’ haha. 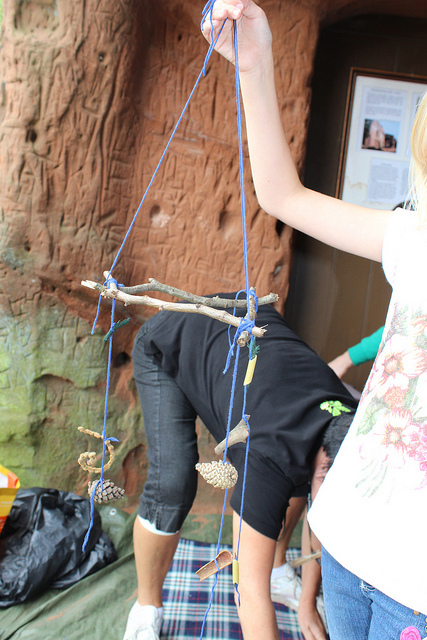 Yesterday I helped with the second to last craft event at Kinver and we made mobiles! Using all natural materials, the children hung lots of different objects from the frame. 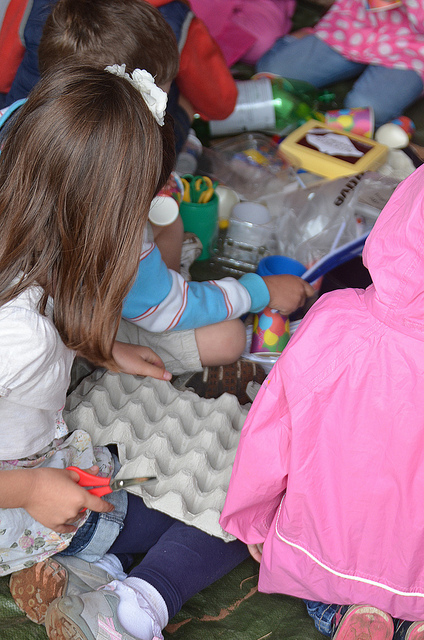 Although the work was really time consuming and a lot of children needed one-on-one help to attach some objects, the results were really cute. We also saw a huge increase in numbers from just under 30 children every Thursday for the first previous weeks, to 45 this Thursday. It meant the day went really fast as so many children wanted to get involved! I was so tired by the end of it. It also really tested my own skills as its been a long time since I had to do this sort of project and because the objects are so small, even I found it difficult to tie them on! The play trail project is also coming along nicely and it will be opened at Kinver Edge in September on the 15th. Using all natural materials, the trail involves different areas of the woodland being used as play areas- for example, there is a storytelling area, balancing logs and a snake made out of tree stumps which children can walk across. Once its all finished I shall create a post with lots of photographs! The project runs alongside the National Trust project ’50 Things To Do Before You’re 11 and 3/4′. On another note, I have been invited to a lot of art exhibitions which are going to be held over the next coming weeks, so I shall be posting about new art appearing in Birmingham! I am really excited about it all, and delighted that I have been offered the opportunity to snoop at new work. Another week, another activity at Kinver. We were incredibly lucky with the weather this week, and the hot summer sun actually appeared! 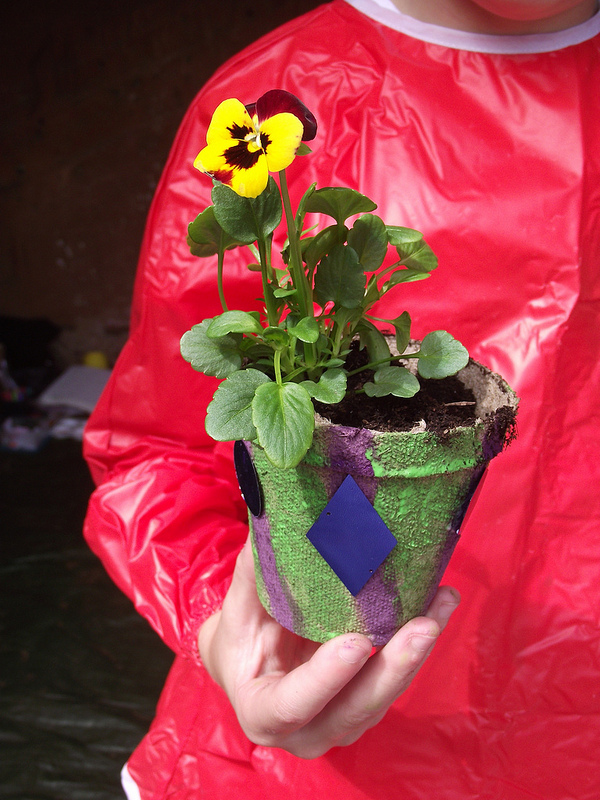 The activity for the craft fitted in well with this, as we decorated little plant pots. The children had so much fun with this- I think it was because they could get really messy with it! I think I ended up more messy than them though…such a child at heart! 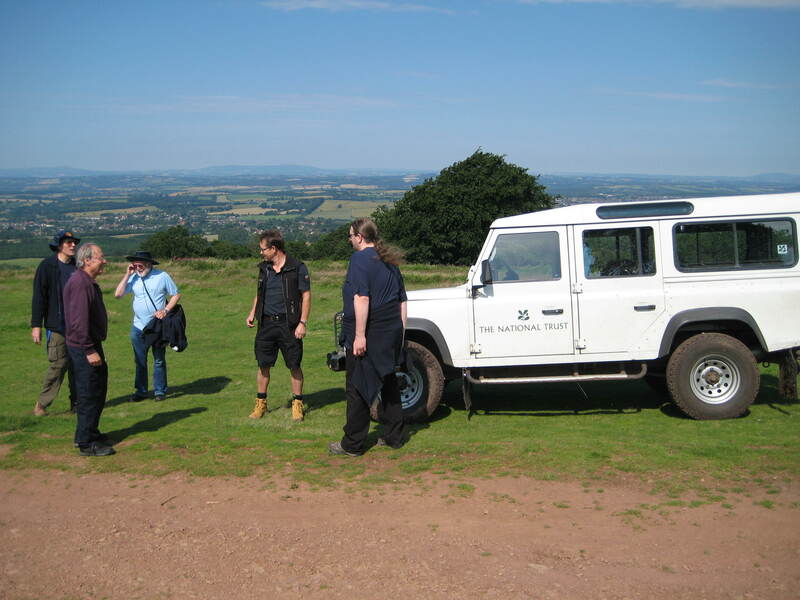 Today I helped the National Trust to run a joint event with the Birmingham Astronomical Society up in the Clent Hills at Birmingham. It was the first day in a long time that the sun actually came out, so it was fantastic to be up there. The people from the society had special telescopes to view the sun safely (DO NOT try and view the sun through a normal telescope though!). Apart from a bit of wind burn (it was so windy up there I nearly actually took off across the hills) I did manage to get a nice tan. The guys arrive at the site with the Ranger and his truck!